In Ruby, everything is an object. Every bit of information and code can be given their own properties and actions. Object-oriented programming calls properties by the name instance variables and actions are known as methods. 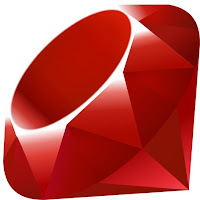 Ruby’s pure object-oriented approach is most commonly demonstrated by a bit of code which applies an action to a number. Softwares Engine. Powered by Blogger.